President Trump took to Twitter on Tuesday morning to blast the record-low TV ratings for the Oscars. 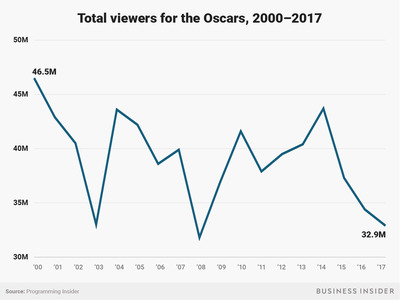 The 90th Academy Awards on Sunday was the least watched in Oscars history with only 26.5 million viewers – a 19% drop from last year’s ceremony. 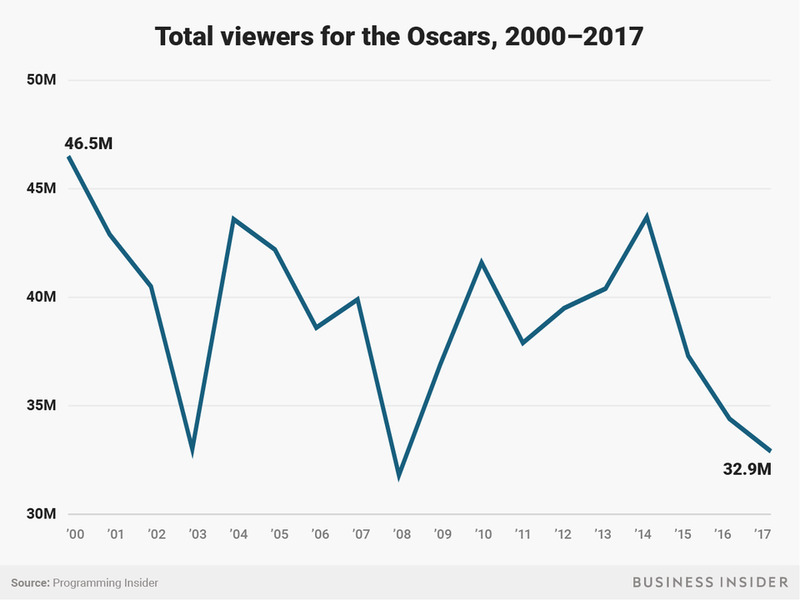 A number of factors – outside of Hollywood star power – likely played into the ratings drop, including lack of interest in nominated films and a general decrease in viewership for live events. President Trump took to Twitter on Tuesday morning to mock the record-low TV ratings for the Oscars. The 90th Academy Awards on Sunday was the least watched in Oscars history with only 26.5 million viewers, representing a 19% drop from last year’s ceremony. Trump said the “problem” with the Oscars’ ratings was that he was the only “star” nowadays. Trump’s tweets fit into a well-established pattern of him criticising Hollywood on Twitter. In January of last year, as president-elect, Trump called Meryl Streep “one of the most over-rated actresses in Hollywood,” after Streep criticised Trump in a speech at the Golden Globes. On the front of Oscars’ ratings, a number of factors could have played into the show’s drop this year. As Business Insider’s Jason Guerrasio noted on Monday, there wasn’t great interest among the general audience in the movies that were favoured for best picture. And most of the top categories were awarded along the same lines that Oscar pundits had been predicting for weeks. The Oscars were also contending with a general trend toward decreased viewership for live TV events. The Super Bowl, for instance, saw its rating slip to a nine-year low this year.